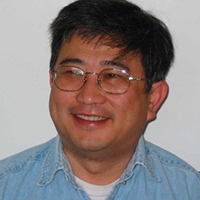 A fellow of IEEE, Sheu currently is active in research related to semantic computing, robotic computing, artificial intelligence, biomedical computing and multimedia computing. He has published two books: Intelligent Robotic Planning Systems; and Software Engineering and Environment - An Object-Oriented Perspective; and he is a co-editor of Semantic Computing (IEEE Press/Wiley). He also has published extensively in object-relational data and knowledge engineering. Sheu is the founder of the Institute for Semantic Computing (ISC), the IEEE International Conferences of Semantic Computing (ICSC), Artificial Intelligence for Industries (ai4i), Transdisciplinary AI (TransAI), Conversational Data and Knowledge Engineering (CDKE), Graph Computing (GC), Humanized Computing and Communication (HCC), Activity Engineering (AE), and the Computer Society Technical Committee on Semantic Computing (TCSEM). He is the founding editor-in-chief of the International Journal of Semantic Computing (IJSC) and the Encyclopedia with Semantic Computing and Robotic Intelligence (ESCRI). He also is a co-founder of the IEEE International Conferences on Artificial Intelligence and Virtual Reality (AIVR), Multimedia Big Data (BigMM), Robotic Computing (IRC), and Artificial Intelligence and Knowledge Engineering (AIKE).